As the colourful leaves begin to fall I can't help but think the cold is coming! Today I want to share a few of my favourite fall nail polishes with you before we have to start wearing gloves for the winter! The beautiful and bright colours of the changing leaves epitomizes the fall season. The polishes I tend to use the most during this season are darker than the colours I would tropically wear in the spring or summer. Below are my fall polish picks! Essie Bahama Mamma is a gorgeous warm plum colour. It's a cream polish with a beautiful shine. This colour pairs perfectly with gold for accent nails or extra details. 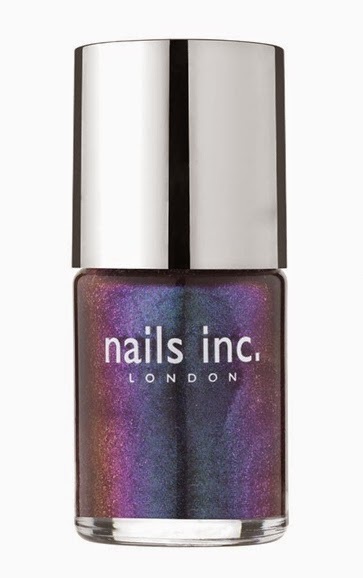 Nails Inc Franklins Row is fabulous purply blue duochrome microglitter polish. I love how this polish changes depending on the light. 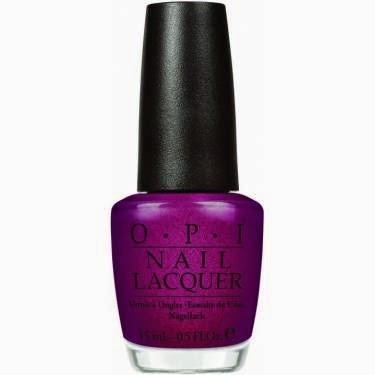 OPI's The One That Got Away from the collaboration with Katy Perry remains one of my favourite polishes! It's a deep magenta with flecks of glitter. This polish looks stunning in the sunlight and much prettier on the nail than in the bottle. 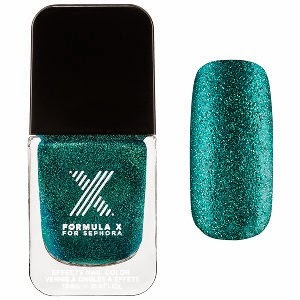 Mr. Positivity is a sparkling green multi-glitter polish from the lustre collection of Sephora's Formula X . The emerald green colour is darker for fall but still stands out due to the fun glitter in the polish! Essie Midnight Cami is a beautiful deep dark navy blue polish. It has microglitter in it which is really only visible in the sunlight and looks almost black in the shade. This colour works well in both the fall and winter months. Do you have certain nail polishes you love to wear especially in the fall?